There have a been a huge buzz on The Cube for the past month and it gets people guessing what the heck is The Cube?! Haha, at first I thought it would be like a new karaoke hang out place or something like that where I can scream my heart out to a screen with sing-a-long words. It was finally revealed on the 15th September 2011 at the Red Carpet Avenue, The Strand, Kota Damansara. It was a super grand event where they had a street parade, cheer teams and a concert featuring Aizat, Joe Flizzow, Bunkface, Reshmonu and much more! 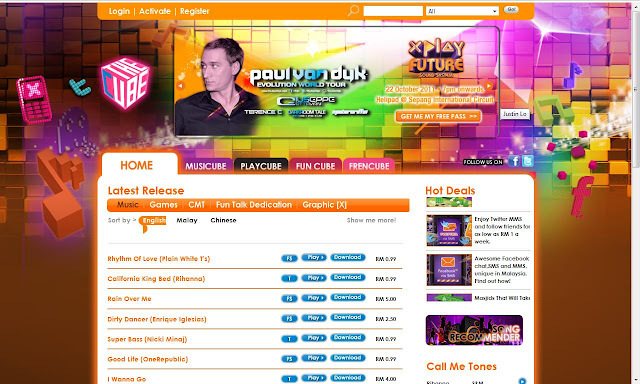 You will see the freaking amazing colourful looking home page! Still can't guess what The Cube is all about by the homepage? 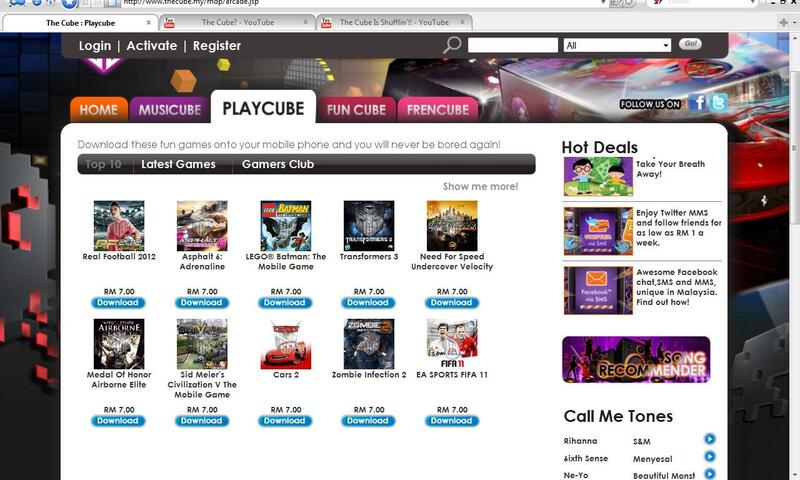 The Cube is basically a mobile content portal where it gives you the hottest tunes, the latest buzz, fun games and etc. There are so many things you can do with The Cube! Here is a place where you can check out on the best in music, sports, games, wallpapers and other EXCLUSIVE content for your mobile. 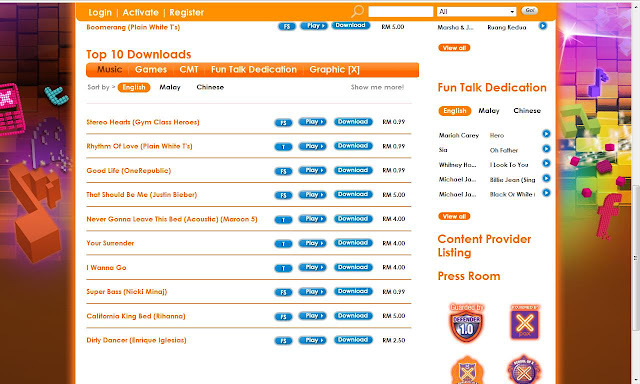 It is constantly updated to keep you in constant update with the latest buzz. There will also be contest, movie extras, sport tie-ins and etc. FIND ALL FUN STUFF IN IT! 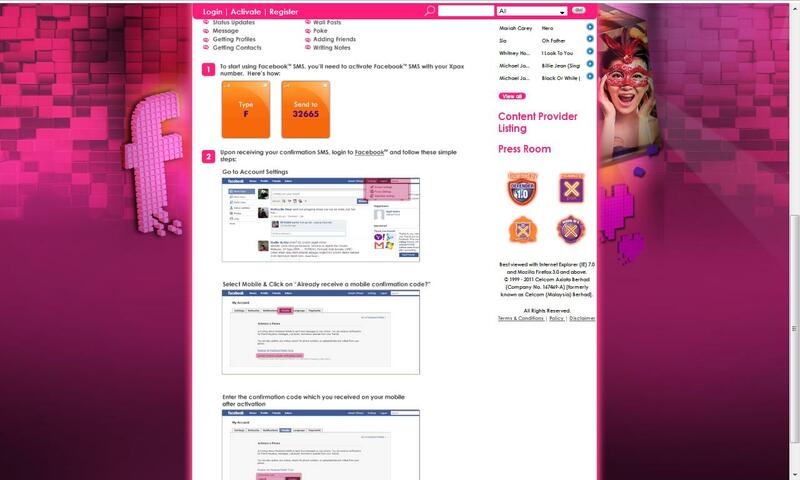 Also, it will show what is the hottest downloads. BTW, I love that it separates the three languages! You can sort by English, Chinese or Malay! Sorting by the things you want. Different link provides different goodies. 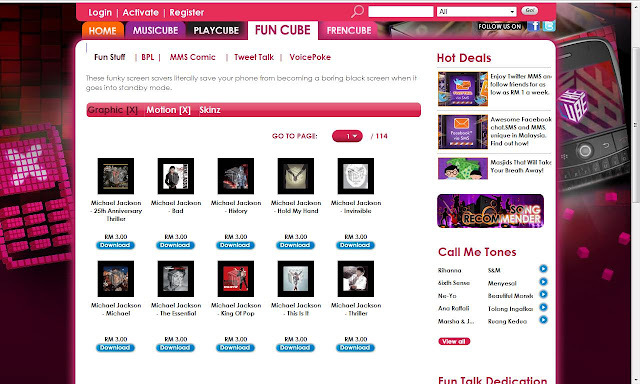 Here you can see MusicCube, PlayCube, FunCube & FrenCube. Even if you are new to this, they help by guiding you through step by step process with visuals! What is my favourite feature about The Cube? I will definitely have to admit that I love how it is in Malaysian context. I feel like this is similar to itunes and stuff where you can get so many things out of it. However, itunes sucked at the pricing for Malaysian people because whatever we purchase have to multiply by 3 times. It could be just me cause I am a cheapo. Haha, what I mean is that I get really excited when I see itunes download for 99cents but wait I have to stop and think cause it is x3 for our currency. Now with The Cube, NO MORE MATHS! It is what it is. RM3 means RM3 or RM7 means RM7. How sweet of them to even come up with packages for us to save money. 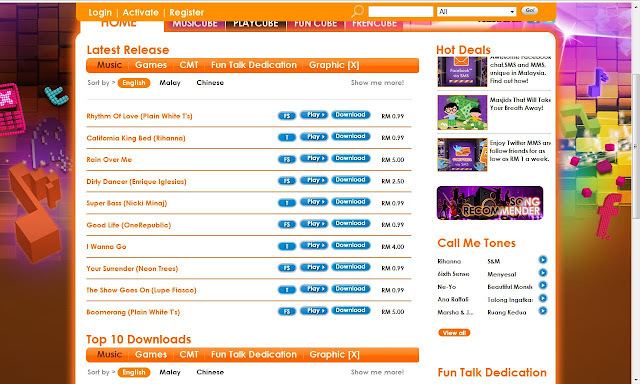 It doesn't only sell international artist music, you can finally get the local inde-band songs. If you are planning to stop being a bad citizen for buying pirated, you can now go ori with a reasonable price to support the music industry. The Cube job is to make sure you stay hip and cool! Our job is easy, JUST REGISTER FOR FREE! huh? 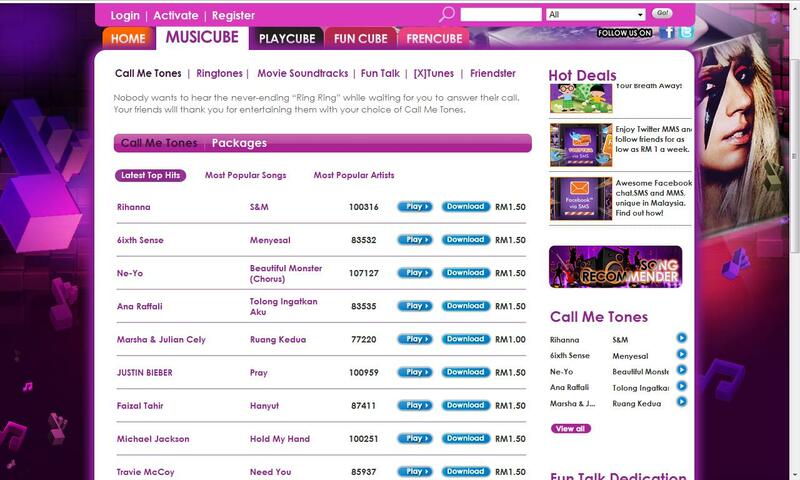 u need to be a celcom user to join the contest r? or to join this community?